NEW LOCATION in Martin City!!! Directions: I-435 to Wornall Road south, east on 135th. Or, Highway 150 to Holmes Rd, head west on 135th. Tropical Sno KC shared a photo — at Tropical Sno KC. Tropical Sno KC updated their cover photo. Tropical Sno KC shared a post. It’s finally warming up! Our Waldo location at 85th and Wornall is open and has great dip cones. Give ‘em a try! Open daily 2pm - 9pm. 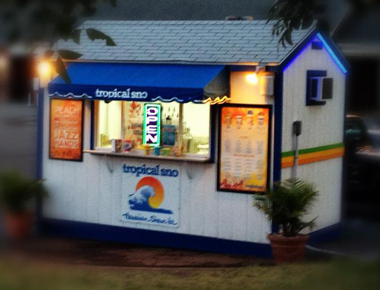 Tropical Sno KC added a temporary profile picture.